Did you know your vehicle classification is taken into consideration when insurance companies establish premiums? Vehicle classification typically refers to the type of the car or what the car is used for. There are generally five categories that insurance companies use to classify vehicles, such as business, personal use, and others. Here's a rundown of the main categories and what they mean. Drivers that fall under the artesian classification use are generally people who have professions that require them to use their vehicles for storage or transportation, like carpenters, electricians, and plumbers. Business use also involves people who have jobs that require them to drive their cars, but not use them to store tools or materials like the artesian classification. This usually refers to people like realtors or people that have company cars. 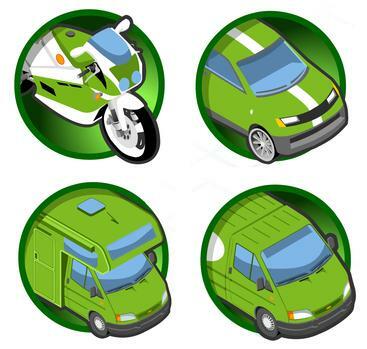 The commercial classification applies to vehicles that are heavily used and meant exclusively for work. They usually have the most expensive insurance policy and include vehicles like dump trucks or construction vehicles. The most popular type of vehicle classification, commute usually applies to vehicles that are used to get to and from work, but not used for them. Most students who drive to school also generally use this classification. Vehicles that fall under the personal or pleasure category are not used for getting to work or school. They are used for doing just about everything else, like running errands or going shopping. People who have extra vehicles are usually able to classify one for personal or pleasure use, which often has a lower insurance premium.